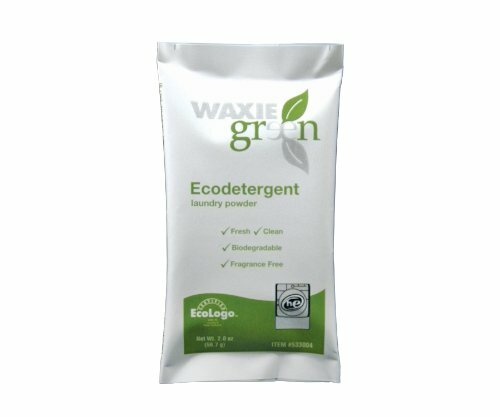 Waxie-green ecodetergent contains specially blended detergents, emulsifiers and water conditioners to thoroughly clean fabric in all water conditions. It's features biodegradable surfactants, broad spectrum cleaning, phosphate free and high efficiency. EcoLogo CCD-105 Certified. 2-ounces Packet.